If you feel like the frequent flyer deck is stacked against you … you’re right. Here’s how. Is there anyone reading this who isn’t involved with at least one frequent flyer program? Didn’t think so. Frequent flyer miles are embedded in our DNA. We struggle to acquire them through flying, through credit cards, and through any promotion we can find. We boast about the “free” trips we get. And we keep coming back for more. But many of us are getting a bit more savvy—maybe cynical is a better word—about frequent flyer programs. We’re developing a sense that they aren’t really as helpful as when we first enrolled. That the deck is stacked against us and the stack keeps getting higher. And there’s plenty of evidence to support our cynicism. 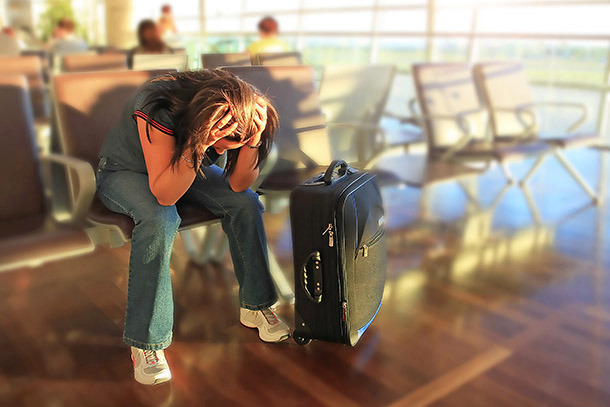 Occasional and somewhat-frequent leisure travelers may get hit the worst, but a word of warning to all you road warriors: Don’t be too smug about your insider tricks and tips for gaming the system. They airlines have stacked the deck against you, too—and the house always wins. When you enroll in a frequent flyer program and hit that “agree” button, the fine print you commit to is the most one-sided contract you’ll ever enter. Yes, those frequent flyer contracts are even worse than wireless phone or cable TV contracts. You agree that the airline can change the rules any time it wants without any input from you. One-sided contracts are called contracts of adhesion, and frequent flyer contracts are the super glue of adhesion contracts. The worst of the one-sided provisions is that you don’t even own “your” miles—the airline owns them. That’s true even though it regularly offers incentives for you to “buy” miles it “sells” you. In most real-life situations, “buy” and “sell” strongly imply change of ownership, but not with frequent flyer miles. That means you can’t transfer them to anyone else (without paying a fee of more than the miles are worth). On some airlines, you can’t even bequeath them to a surviving spouse. And if you do something the airline doesn’t like—repeated use of hidden city or throw-away ticketing, for example—it can nuke your miles and kick you out of the program. Frequent flyer programs are called “loyalty” programs, but some loyalties are better than others. Big airlines know that they get something like 80 percent of their revenue from about 20 percent of their customers (or close to that; I’ve seen various estimates within that range). The 20 percent consists mainly of frequent business traveler “road warriors” who travel a lot and pay top dollar for tickets, so their loyalty is vitally important. A study by IdeaWorks found that reward seat availability for major North American airlines ranged from highs of 100 percent for Southwest, 91 percent on Air Canada, 87 percent on JetBlue, and 80 percent on Alaska; to 75 percent on United, 67 percent on American, and a dismal 58 percent on perennially low-scoring Delta. In isolation, those figures aren’t bad, but they overstate the real-world situation. They cover direct domestic flights in coach/economy between large airports. Real-world experience suggests that success rates are much lower in business/first class, especially on intercontinental trips, and on connecting-flight awards with decent itineraries. On airline websites, award travel on “partner” airlines is sometimes hidden and not displayed. Also, miles required for a seat on any given flight may vary depending on which airline’s program booking engines is used. Often, the only way to get a straight answer is to call an airline’s frequent flyer office. And even then, you may get incorrect information. If an agent says “no” to a request, you may do well by calling back a few minutes later and talking to another agent. Years ago, once you had an award ticket issued, you could change flights and dates as often as you needed, provided only that the origin and destination remained the same and space on your preferred flights was available. That’s no longer true. Now, even a minor change invites a change fee of $75 to $150; you even have to pay up to $75 to change to a different flight on the day of travel. And if you cancel the trip completely, you have to pay up to $150 to redeposit the miles in your account. These fees are nothing but gouges, pure and simple. If anything, they’re even bigger gouges than change fees for purchased tickets. With purchased tickets, airlines can at least claim an “opportunity cost,” but changing a frequent flyer award costs an airline virtually nothing. After all, the seats are on a “space available” basis. International award trips on most airlines based outside the U.S. (including even Air Canada) aren’t really “free” any more: Most of those airlines impose a stiff “fuel surcharge” or an “airline-imposed fee,” which is just a fuel surcharge in disguise, on award travel. For the most part, airlines based in the U.S. do not impose those fees, even when trips are on a foreign partner airline, but American socks award travel on partner British Airways with the fees. Those charges vary from a few hundred dollars to close to a thousand dollars on a premium class trip. Fortunately, U.S. airlines do not impose those fees on domestic awards. At least not yet. But remember a basic rule of the airline business: Nothing catches on faster than a bad idea. Most independent observers place the value of airline frequent flyer mile at somewhere around a penny or a penny-and-a-half per mile. Presumably that’s close to the price airlines get when they sell miles to banks for inclusion in credit card programs. But when they try to sell miles to you, the big airlines charge more than three cents—about two to three times what the miles are worth. They even charge up to one-and-a-half cents per mile to transfer miles you’ve already earned or bought. If you generate most of your miles through a credit card, you’re often better off buying a domestic coach ticket. These days, you can buy a round-trip ticket on most routes within the continental U.S. for less than $500. A long-haul trip generally requires at least 25,000 frequent flyer miles, so you’d have to charge $25,000 on your card to earn those miles. But some high-payout credit cards earn two miles per dollar charged, so $25,000 worth of charges would give you $500 cash back, enough to buy a ticket without worrying about award-seat availability. Overall, the “highest and best” use of miles is for premium cabin travel. The cash prices for those tickets are out of sight, so, for many, frequent flyer miles are the only escape from the cattle car into a comfortable flight. But if you’re a more typical coach/economy flyer, you are often better off buying a ticket and conserving miles for occasions when they’re the best option. For road warriors, the most important frequent flyer reward is not so much the miles as it is the elite status that provides special check-in lanes, reduced baggage fees, and—most importantly—space-available no-charge upgrades. But even that benefit is eroding. Airlines are handing out elite status to more and more travelers, while they cut back on the number of first-class seats on typical domestic flights. These days, just about any departure gate with a display screen lists far more travelers eligible for upgrades than available upgrade seats. Only the super-platinum types can count on an upgrade; for the others, it’s a crapshoot.